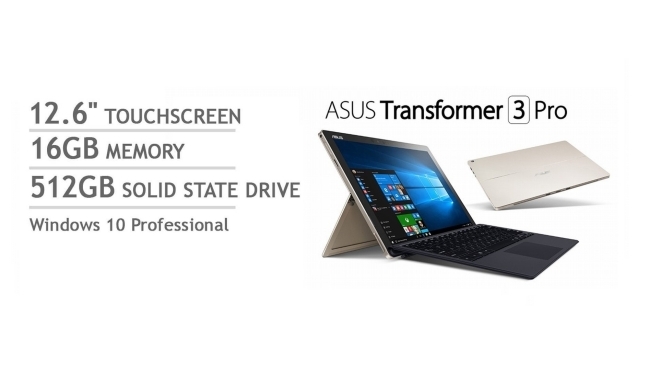 The Asus Transformer 3 Pro top model has it all. Specifications highlights we should start with are the 12.6-inch screen with a WQHD+ 2880 x 1920 resolution display – the 2.5 GHz Intel Core i7 6500U processor with Intel HD Graphics 520 – 16GB of RAM – 512GB of SSD storage – complete Wi-Fi with dual-band 802.11 a/b/g/n/ac cover – USB 3.1 Type-C and Thunderbolt – backlit keyboard included with the tablet – active stylus pen included – a 13MP rear camera and 2MP front IR camera for secure login in Windows and apps – powerful non-distortion 2 watt stereo speakers – a built-in kickstand with stepless 155 degree adjustments – an exclusive build material – and the chance to hook this tablet up to a very powerful GPU booster so it can be pressed hard with the latest games on multiple external 4K displays connected to the Transformer 3 Pro. And those are just the first highlights. 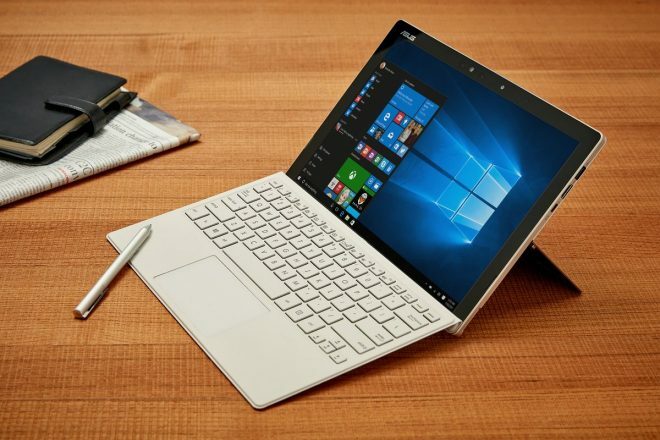 Apart from specs, we should also mention that by comparison, a Surface Pro 4 with similar 16GB RAM, Intel Core i7 6650U processor, and 512GB of storage costs at least $400 more with a keyboard. 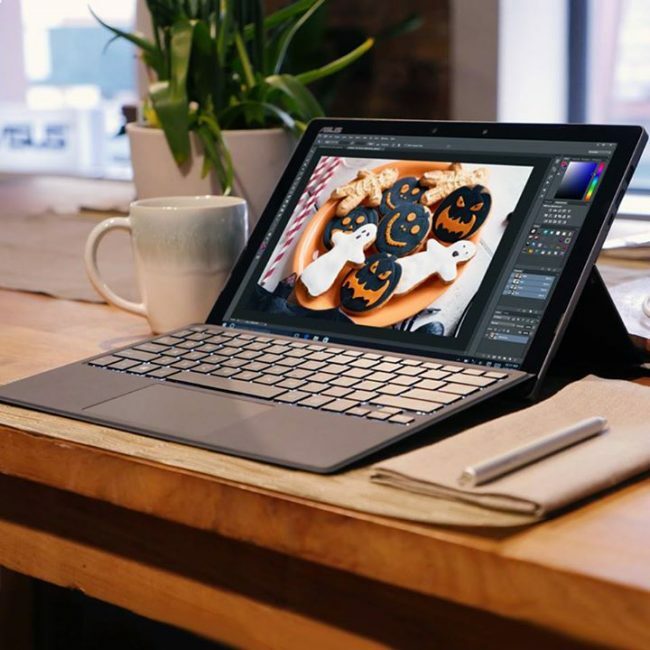 And the Surface Pro 4 lacks things like USB Type-C ports, Thunderbolt, and many of the other cutting edge features that the Transformer 3 Pro has. 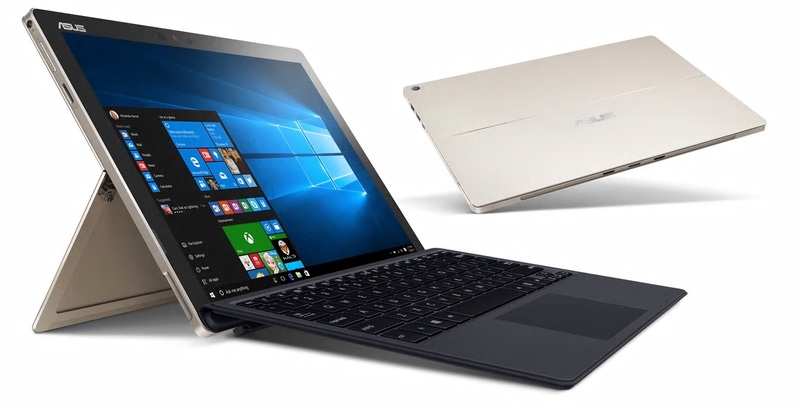 They are similar in their 9 hour battery life and a weight of approximately 790 grams/1.75 lbs, so in short, the Asus Transformer 3 Pro (T303UA) is just so much better value, as well as more future proof. 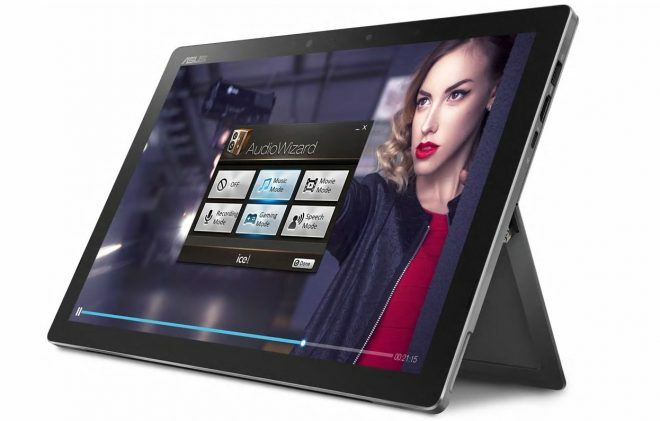 This Windows 10 top model runs Windows 10 Pro, and supports services such as Cortana with voice and Windows Hello, it has face recognition, array microphones with noise canceling, TPM (Trusted Platform Module) security, Eye Care blue light reduction filter, a wide color gamut of 121% sRGB for accurate screen colors, Bluetooth 4.1, and Harman Kardon speakers. The 39 Whrs battery can charge to 60% in 50 minutes. The tablet itself is 8.35 mm thick with a rigid and durable yet elegant casing made of metallic aluminum-magnesium alloy. In addition to the USB Type-C port, it also a USB 3.0 port, a full-size HDMI port, a 3.5 mm audio combo jack, and a microSD card slot with support for 128GB microSD cards. 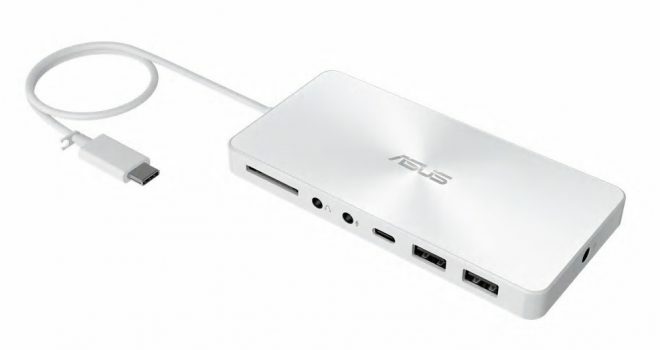 The Thunderbolt 3 port supports a whopping 40Gbps data transfer speed. And it’s through the Thunderbolt port you can connect the Transformer 3 Pro to the ROG XG Station 2 graphics dock. A graphics dock is simply an external graphics unit that increases the graphics processing capacity, so that it can support extremely demanding graphics intensive tasks. 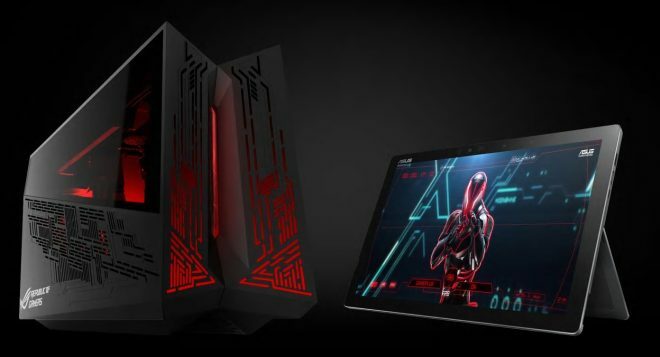 The Asus Transformer 3 Pro with the ROG XG Station 2 graphics dock supports GPU up to Nvidia GeForce GTX 1080, so you can do lots of 4K gaming on several external displays. 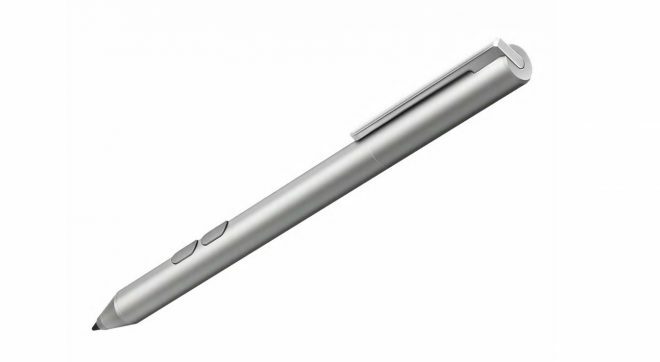 The aluminium pen has a 10 month battery life, and you can vary the pressure from 10 grams to 300 grams when you write and draw with it and the display will pick up the 1024 levels of pressure, even better than you would experience on paper, but with multiple pens in one pen, where only need one pen for any color or tip size. The pen weighs 22 grams, is 9.5 mm thick and 144 mm long. It has two buttons, where one can be programmed like on a mouse, and the other one can be used as an ereaser. 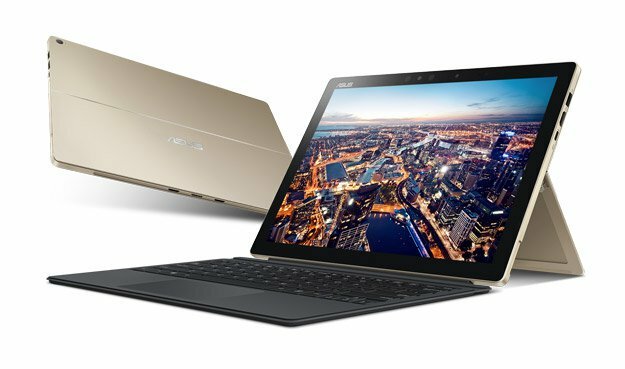 The Asus Transformer 3 Pro Intel Core i7/16GB version that was released today comes with the Asus Pen and keyboard included, but optional accessories also includes the Universal Dock and Audio Pod. The Universal Dock is a docking unit that adds many more ports. These are a full-size SD card slot, audio in, audio out, another USB C port, 2x USB 3.0 ports, a LAN jack, a VGA port, and a HDMI port. The HDMI port supports 3840 x 2160 resolution. 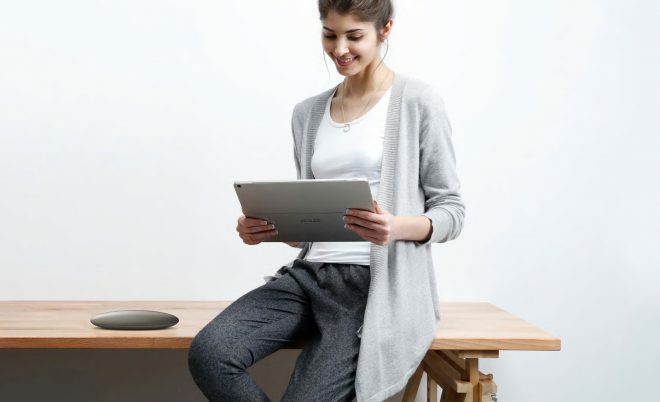 The Audio Pod is a more upscale Bluetooth speaker. Compared to what’s on the market now in November, this is easily the best value Windows 10 2-in-1 tablet right now. A Surface Pro 4 or Surface Book with 16GB of RAM and similar processor costs over $400 and $600 more respectively.